ANDY THIBAULT RECENTLY APPOINTED A POSITION ON THE JUDICIAL-MEDIA COMMITTEE! Andy Thibault, a highly regarded freelance writer, teacher, investigator, and author, has recently been appointed as a member of the CT Judicial Branch's Judicial-Media Committee. As such, Mr. Thibault joins the esteemed company, not only of judges and attorneys, but also of colleagues such as Lauren Sellew of the Meriden Record-Journal, Alaine Griffin of The Hartford Courant, Lucy Nalpathanchil of WNPR, Eric Parker of WFSB, Channel 3, Chris Powell of the Journal Inquirer, and Thomas Scheffey of the CT Law Tribune Editorial Board. Andy Thibault attended Boston University and has been in the field of journalism for approximately 30 years. He has done a considerable amount of work in the area of the court system. In fact, he probably could teach the members of the Committee a thing or two himself, even the judges and attorneys. For instance, Mr. Thibault worked as a columnist for the "CT Law Tribune" for six years between June 2000 and May 2006. In that regard, he is the author of two books: "Law and Justice in Everyday Life: Featuring the Cool Justice Columns of Law Tribune Newspapers" (2002). This book included an introduction by Howard Zinn and a foreword by F. Lee Bailey; "More Cool Justice" (2014). 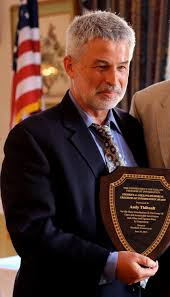 Andy Thibault has always fought for the underdog in his work and has been a major voice for justice in the State of Connecticut. His Goodreads biography mentions that the novelist Chandra Prasad called him "Connecticut's premiere journalistic warrior." Wally Lamb, according to this bio, states that "Thibault is a junkyard dog for justice who bares his teeth at pomposity and institutional unfairness and only bites the truly deserving." Some of Andy Thibault's most outstanding work in this regard was his effective championship of Bonnie Jean Foreshaw, a victim of domestic violence who was wrongly convicted of premeditated murder. Subsequently, she was sentenced to a lengthy sentence of 45 years which was unprecedented in the history of CT jurisprudence. In 1994, the story of Bonnie Foreshaw was featured by Yale University student, Ondi Timoner, in a film entitled "Nature of the Beast." Mr. Thibault also partnered with CT author Wally Lamb in working hard for Ms. Foreshaw's release. Wally Lamb worked with Ms. Foreshaw and eventually included stories of her life in his two books of stories by prison inmates. Bonnie Foreshaw was eventually released in 2013, after serving 27 years of her sentence. Another of Andy Thibault's achievements was the central role he played in reporting on the Woody Allen case here in CT. In this case, the celebrity filmmaker Woody Allen was accused of molesting his daughter Dylan Farrow. Andy Thibault wrote a pivotal article on that case which appeared in the April 1997 issue of "Connecticut Magazine". This article has played a central role in clarifying the pressures that were placed on then prosecutor Frank Maco to put aside Dylan Farrow's accusations. In the years since the article came out, Mr. Thibault's work has played a central role in assuring that the truth gets told about that case despite subsequent pressure to misrepresent and distort the events that took place. In 2014, family court victims were extremely grateful when Andy Thibault played a central role in publishing an article in "The Register Citizen" which clearly and accurately informed the public of the many concerns they had about corrupt legal practices in family court. He was fearless in naming the legislators who sought to rig the family court task force as a means of silencing victims. He was also very clear about the unethical practices of the Association of family and Conciliation Courts (AFCC) which had spread its tentacles through the CT Family Court System. Of course, upon hearing about Andy Thibault's appointment to the Judicial-Media Committee, several family court advocates have expressed concern that he could be made a tool of the Judicial System. However, upon inquiry, Andy Thibault has expressed the view that he will be able to assess issues fairly and impartially, despite the fact that he is on the Committee. He does not anticipate that his membership will in any way undermine his ethical integrity. As a point of interest, Andy Thibault has recently been hired as the City Editor of the "Republican-American" in Waterbury, CT, a position that should start for him on October 24, 2018. We certainly wish him luck in this new enterprise. DID "THE HARTFORD COURANT" AND OTHER CT MEDIA OUTLETS ACCEPT LARGE SUMS OF MONEY TO SILENCE CT JUDICIAL BRANCH CRITICS? In May 9, 2018's Op-Ed "Legislature Fails Judge Subjected To Abuse" by Kevin Rennie, a long time "Hartford Courant" opinion leader, we could get the idea that the Family Court Reform movement here in CT is full of anti-semites and wackos. However, this simply makes no sense considering that a good many of the victims of Family Court injustice are either Jewish themselves or of Jewish origin. My own grandfather was incarcerated in the Marienkirche Concentration Camp in Berlin, Germany. Further, Judge Jane B. Emons was not subjected to abuse. Judge Emons competence was called into question when numerous litigants reported that she had violated the judicial code of ethics. NEXT MEETING OF THE JUDICIAL - MEDIA COMMITTEE AT CHANNEL 3! COZY RELATIONSHIP BETWEEN THE MEDIA AND THE CORRUPT CT JUDICIAL BRANCH REMAINS IN PLACE! WHAT HAPPENS WHEN MEDIA COLLUDES WITH A CORRUPT LEGAL SYSTEM: THE STORY OF THE CENTRAL PARK FIVE! COLLECTION OF ESSAYS ON HOW THE CONNECTICUT MEDIA HAS BETRAYED THE CITIZENS OF CONNECTICUT! CT MEDIA BETRAYAL OF THE PUBLIC THROUGH JUDICIAL-MEDIA COMMITTEE! At this time, I am preparing to write another blog in connection to this issue on behalf of Divorce in Connecticut. I am interested in getting your response to the charge that the Media's involvement in the Judicial-Media Committee represents a breach of its journalistic ethics. Can you provide a comment to me in regard to this issue? I also sent an inquiry to Mr. Paul Singley, the current President of the CT Society of Professional Journalists. I did not hear back from a single one of these journalists in response to my inquiry. My only way of understanding this is that CT journalists as a whole do not think that they need to be accountable to the public for providing accurate information in articles and broadcasts they present. To me this comes across as arrogant and irresponsible. I first attempted to obtain information regarding the Judicial-Media Committee on September 16, 2014 when I reached out to Nancy Schoeffler, Deputy Metro Editor of The Hartford Courant who had just joined the Committee. In my first email, I discussed the issue of audio recordings and persons with disabilities which had been a focus of the Committee. I stated, "I thought it might interest you to know that several litigants with disabilities have requested the opportunity to have audio recordings of the legal proceedings in their legal matters and have faced obstruction and inconsistent rulings from judges and administrators in response to those requests." A report dated 2009 on audio recordings in judicial proceedings produced by the Judicial-Media Committee had made it clear that persons with disabilities had the right to those recordings. In response, Ms. Nancy Schoeffler responded, "Thanks for your very interesting letter." She continued to say she was new to the committee and would need to become more informed before she could answer to my concerns. She mentioned that the next meeting of the Committee would be in January and said that as the date of the meeting drew closer that she'd like to meet with me stating as follows, "I'd like to meet with you to discuss it a bit closer to the time of the meeting, perhaps in November of early December." "There is a serious question out there that litigants have as to why the Media such as The Hartford Courant has not investigated the judicial corruption that plagues the CT Judicial Branch, particularly in connection to family Court where the stories are really tragic and saddening." I stated that as I investigated this issue, "I stumbled across this Judicial-Media Committee where it appears that members of the Media are socially interacting with Judges and Attorneys on this Committee, spending time interacting with one another, establishing relationships and building trust, to the point where I am beginning to wonder whether the media has been able to maintain its objectivity under the circumstances and whether the media is capable of doing the kind of hard hitting investigative reporting it should be doing because it has been kind of waylaid and pacified by the intentional friendship building of the CT Judicial Branch." I finished up this email by addressing Nancy directly, "I just wanted to run that by you because I may eventually write about these matters. Do you have any thoughts on this?" I sent a follow up email to Nancy Schoeffler expressing similar concerns on October 4, 2014 and also October 27, 2014 and received no response from Ms. Schoeffler. My October 27, 2014 email stated, "I believe that the ongoing meetings between media representatives and employees of the CT Judicial Branch is fundamentally unethical and unfair to Family Court Litigants whose concerns have largely been abandoned because members of the media have lost their ability to be objective regarding the corruption of the CT Judicial Branch and its wrongdoing because of the friendships they have formed with judges, attorneys, and judicial branch employees." I did not receive any response from Ms. Nancy Schoeffler in response to either of these emails. I do have a problem with Ms. Schoeffler thanking me and inviting me to fantasy meetings and subsequently blowing me off. I again wrote to Ms. Schoeffler on December 29, 2014 stating, "It is my view that the special relationship which the CT Judicial Branch is able to develop with the media via the Judicial-Media Committee puts at risk the watch dog role that media should be playing in regard to the Branch. When you develop those personal relationships with CT Judicial Branch leaders, it then becomes easy to dismiss folks like me who critique the Judicial Branch as a bunch of kooks because you haven't gotten to know us as well and you haven't been able to establish a trusting connection with us or an understanding of where we are coming from since these same media members are not getting together with us regularly." On January 12, 2015, I did finally receive a response from Ms. Nancy Schoeffler basically telling me that the Judicial-Media Committee meeting had been delayed until February 2015. She stated, "I will be happy to share your concerns with the committee when it does meet." I immediately responded to Ms. Schoeffler telling her that the ethical questions I had regarding the Judicial-Media Committee really had to do with The Hartford Courant itself stating, "The question I really have is for you and by extension, The Hartford Courant itself. Can you be a member of the Judiciary-Media Committee and maintain your integrity as a journalist and report objectively regarding what is happening with the CT Judicial Branch and continue with your watchdog role. Isn't your participation in the Judiciary-Media Committee a fundamental violation of your professional ethics?" Interestingly enough, it was right at that time that family court attorneys in the Eric Foy v. Lisa Foy case threatened me with jail if I refused to provide the sources in an article that had appeared on the Divorce in Connecticut website regarding that case. At the time, I hired Attorney Daniel Klau to defend me in court regarding my rights as a journalist. What I didn't know, however, is that Attorney Klau at one point was also a member of the Judicial-Media Committee. You have to wonder about the timing of this action against me which resulted in $1,500 in legal fees and the considerable trauma of being dragged into court and threatened! I never heard from Ms. Nancy Schoeffler again. The next meeting of the Judicial-Media Committee ended up taking place in March 2015, not February, and has not met since then. From the minutes of the meeting, it appears that Ms. Schoeffler did as she said she would and brought up some of my ADA concerns. However, the details of what she actually said are unclear from the report in the minutes. In a followup email to her dated May 21, 2015 I stated, "I will again maintain that a Committee of this kind [Judicial-Media Committee] is a violation of journalistic professional ethics unless journalists are going to give critics of the CT Judicial Branch equal time and intelligent coverage of their concerns." The "Report of Connecticut Judicial-Media Committee's Survey Subcommittee" Including "Recommendations Developed From October 2007 Survey of Judges and Journalists" details plans for establishing an intimate and cozy relationship between officials of the CT Judicial Branch and Members of the Media, which even included Maura Casey, then editorial page writer for The New York Times. These plans included a panel presentation for the CT Judicial Branch on topics such as decision-making concerning editorials, degree of reliability required before publishing investigative articles, etc. etc. It also involved providing opportunities for clerks and other staff to meet with the Media and chat with each other about their jobs, allowing for the opportunity for Media to tour the courts and clerks to visit news organizations. And on and on. We are still waiting not only for the CT Media to take responsibility for their unethical behavior, but also for a smidegeon of that intelligent coverage I mentioned. Silence is not going to make media critics go away, and it is not going to rectify the wrongdoing that the media has perpetrated for the last decade by selling out and neglecting the concerns of family court victims. RERUN ON THE EXPLANATION OF HOW CT MEDIA HAS BETRAYED THE CITIZENS OF CONNECTICUT! So what is going on with The Hartford Courant? How could it be so wrong in regard to the Connecticut Judicial Branch? Why is it wrong in its assessment of Rep. Minnie Gonzalez, wrong on incompetent and arrogant Family Court judges, and soft on Connecticut Family Court injustice and corruption? How come the media has essentially carried out a news blackout when it comes to the fraud and wrongdoing going on within the legal system in Connecticut. Why has the media simply refused to meet its obligations to the citizens of Connecticut? There is actually a good answer to those questions. As I understand it, the media is supposed to be "the fourth estate" which acts as a watchdog to ensure the proper conduct of the government and our judicial system. In the word of one expert, "Access to information from the media is essential to the health of democracy for at least two reasons. First, it ensures that citizens make responsible, informed choices rather than acting out of ignorance or misinformation. Second, information serves a "checking function" by ensuring that elected representatives uphold their oaths of office and carry out the wishes of those who elected them. 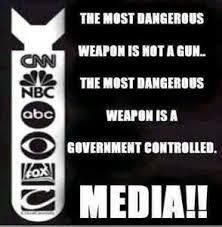 In the United States, the media is often called the fourth branch of government (or "fourth estate"). That's because it monitors the political process in order to ensure that political players don't abuse the democratic process." So why isn't The Hartford Courant, let alone other Connecticut media, playing this critical watchdog role in regard to the Connecticut Judicial Branch? Why is our Connecticut media pretty much giving the Judicial Branch a free pass to carry out whatever nonsense it cares to? The answer is that Judges, Attorneys, and Employees of the Connecticut Judicial Branch have systematically cultivated friendships with highly placed media executives and journalists. These friendships have developed to the point where the media in Connecticut has come to believe that it has a greater obligation to defend the Connecticut Judicial Branch from all potential challengers rather than investigate and critique it on behalf of the citizens of the State of Connecticut which it has a fundamental obligation to serve. I know that at this point you are probably curious to know how this media shift in perspective from outsider to insider took place. 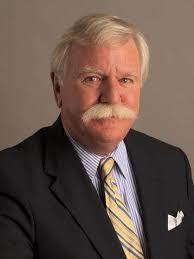 What happened is that in 2007, Judge Chase T. Rogers established the Judicial-Media Committee to discuss media access to Connecticut Judicial Branch legal proceedings and records. The founding documents for this Committee state the following, "The goals of the Judicial-Media Committee are to foster and improve better understanding and relationships between the Judicial Branch and the media, both print and electronic, and to discuss and recommend resolutions of problems confronted by the media and the public in gaining access to court proceedings and documents." If you think this sounds like the basis for a judicial branch-media mutual admiration society, I would suspect you are correct. The bottom line is, if the media has the legal right to access to legal proceedings and documents, that would be something their lawyers would need to attend to. But instead, what actually happened is that the Connecticut Judicial Branch arranged for ongoing friendly meetings over a period of seven years sometimes at the offices of one of the media moguls and sometimes at the Judicial Branch. Clearly, these meetings were fundamentally unnecessary and intended solely for the purpose of skewing the opinions of media leadership in the direction of the Connecticut Judicial Branch. Some of the big media names involved in this Committee are as follows: G. Claude Albert, Managing Editor, The Hartford Courant (retired); Tom Appleby, General Manager and News Director, News 12 Connecticut; Karen Florin, Staff Writer, The Day of New London; Eric Parker, Morning News Anchor, Reporter, WFSB, Channel 3; Chris Powell, Managing Editor, Journal Inquirer; Thomas Scheffey, Connecticut Law Tribune, editorial board; Nancy Schoeffler, Editor, Metro Desk, The Hartford Courant; Paul Giguere, President & CEO, Connecticut Network; Michael St. Peter, News Director, WVIT-TV Channel 30; Kirk Varner, Vice President & News Director, WTNH-TV Channel 8; Dave Ward, Assignment Editor, WFSB-TV, Channel 3; John Long, Photographer, retired from The Hartford Courant; Ken Margolfo, Assignment Manager, WTIC-TV Fox 61; Melissa Bailey, Managing Editor of the New Haven Independent. As you can see, this is an extraordinary lineup of media industry leaders and stars many of whom for a period of seven years conducted regular meetings with judges, attorneys, and judicial branch employees and essentially cemented relationships that could not help but be wide ranging and influential. This represents unprecedented access to opinion makers and information gatekeepers solely gathered for the benefit of the Connecticut Judicial Branch. Those of us who are working for the reform of the Connecticut Judicial Branch had nothing like such access whatsoever and, as a result, have not been able to get the media to cover our stories and work with us for fundamental reforms that the legal system desperately needs. In essence, what this amounts to is that the Connecticut Judicial Branch used its superior power and influence and its control over information sources that the media desperately wanted access to in order to win over the media and shut down any criticism the media might raise of its fraudulent and criminal activities. It is a strategy that is both brilliant and, at the same time, fundamentally in opposition to our nation's democratic principles. The result is that The Hartford Courant as well as other media outlets in the State of Connecticut have reneged on their professional responsibility to speak up about the many abuses of Connecticut Family Court. Even worse, the media in Connecticut has colluded in a conspiracy to deny the wrongdoing and act as apologists for the criminal actions of Family Court judges, attorneys, and mental health professionals. This explains their weak, half hearted, response to the ongoing corruption of the CT Judicial Branch, and most particularly to the corruption going on in Family Court.